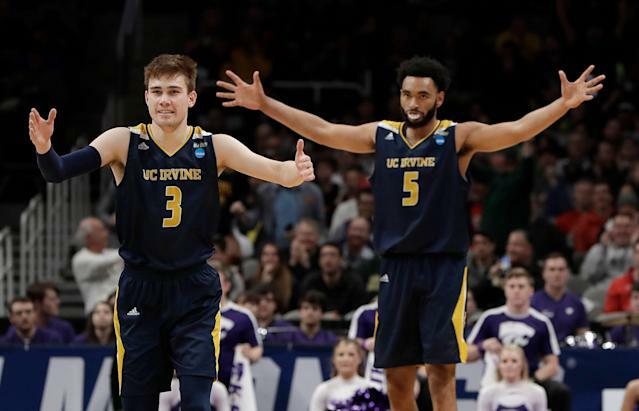 Thirteenth-seeded UC Irvine validated its coach’s big talk on Friday afternoon in San Jose with the most significant win in program history. The Big West champion Anteaters secured their school’s first-ever NCAA tournament victory, a 70-64 upset over fourth-seeded Kansas State. That’s a good formula against Kansas State, a poor outside shooting team that was playing without maybe its best 3-point shooting threat. Injured forward Dean Wade shoots 41.8 percent from behind the arc and excels at freeing up driving lanes for his teammates by forcing opposing big men to guard him on the perimeter. UC Irvine advances to face 12th-seeded Oregon on Sunday with a berth in the Sweet 16 at stake. 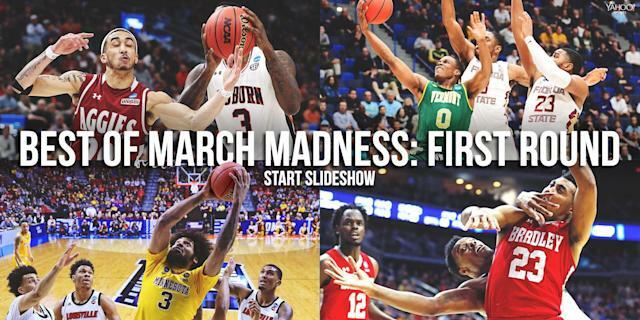 With Saint Mary’s having lost to Villanova on Thursday night, the Anteaters are the only California team left in the NCAA tournament, shining further spotlight on a topic Turner has been highlighting for awhile. “I spoke about it a few weeks ago because I wanted to draw attention to the fact that we were succeeding at the level we were, and I knew that was a gamble, because you could easily fall flat,” Turner said. “And we could have easily lost in the Big West tournament like we did a year ago. Or we could have easily come out here tonight against a Big 12 team like a lot of other 13 seeds did and get blown out.